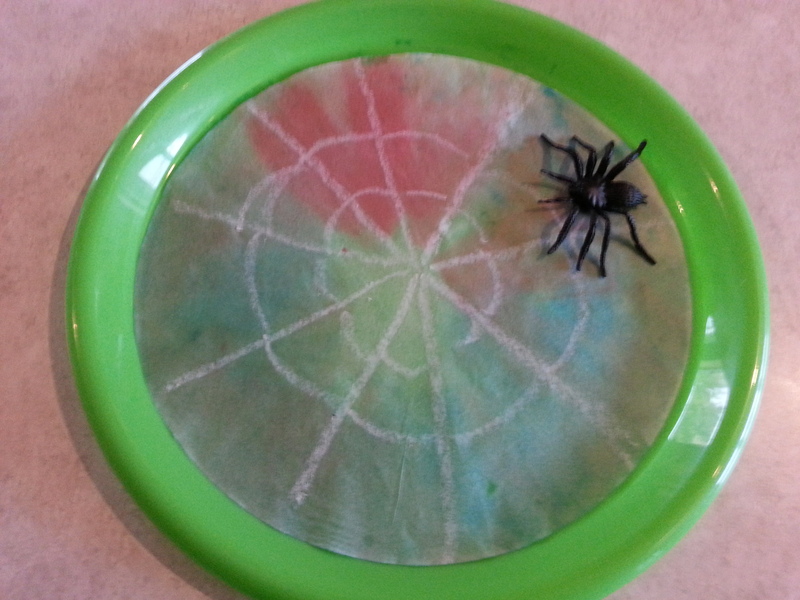 These webs are again simple, cute, and you must likely have a coffee filter around the house. I have some and I don’t even drink coffee. I just drew the lines with the crayon. It is hard to see so I went about every third wrinkle on the filter. Then we use water colors and painted making sure everything got covered.